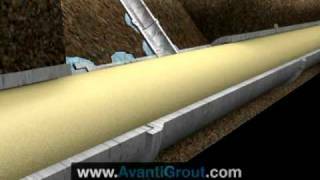 Chemical grout travels freely between the liner and host pipe to cure in place and eliminate infiltration. 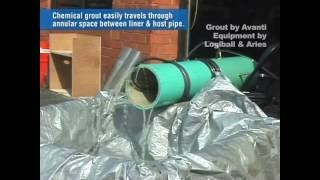 View footage of leak between liner and host pipe before and after it is sealed with chemical grout. 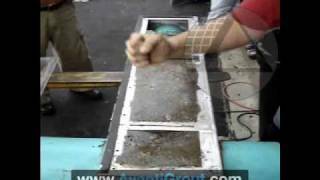 View footage of leaking lateral connection before and after it is sealed with chemical grout. 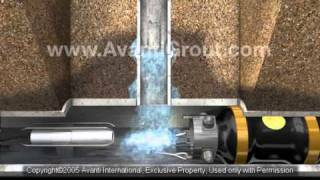 Sealing a service line 21-ft. from a mainline sewer that has been lined with CIPP. 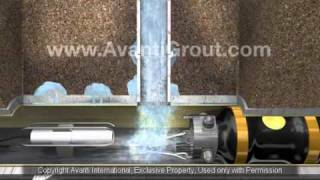 Note: Grouting the lateral/mainline connection will seal the service line as well as stop water flow. 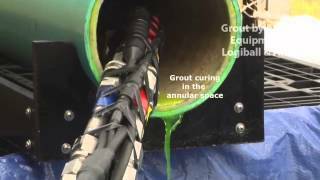 View a grouted sand/soil demo outside a lateral/mainline sewer connection after being sealed with chemical grout.